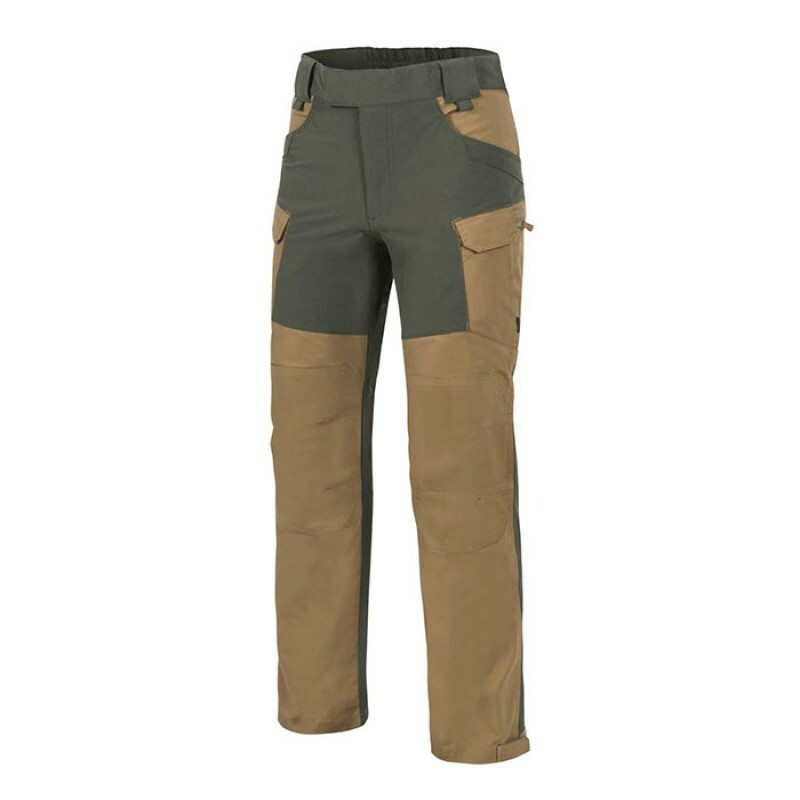 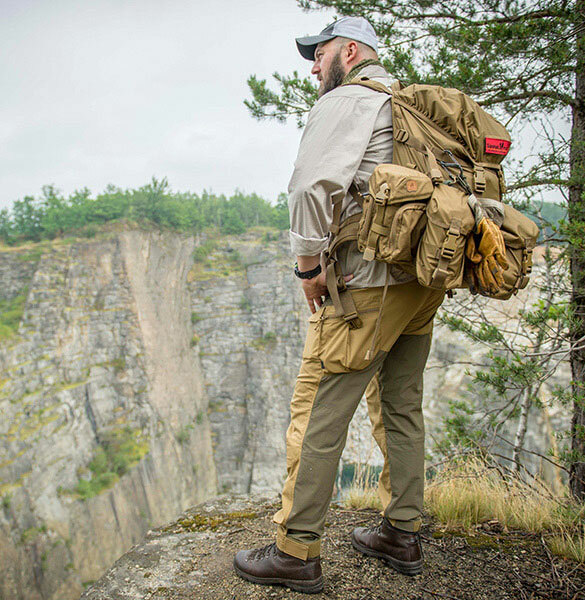 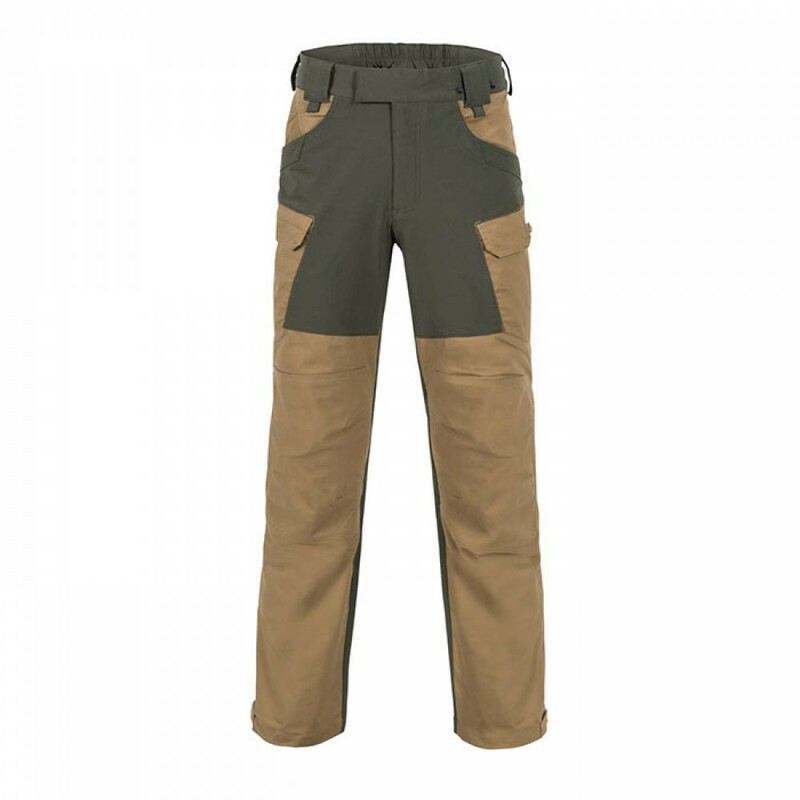 Hybrid Outback Pants® are advanced hybrid outdoor pants, equally suitable for long mountain treks and bivouacking. 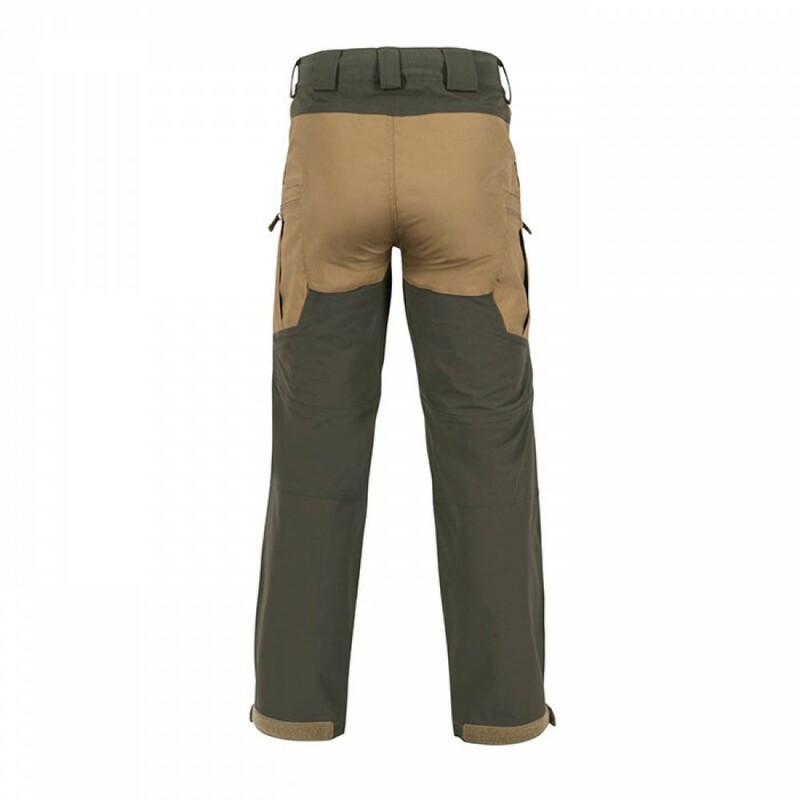 The pants are comfortable and durable. 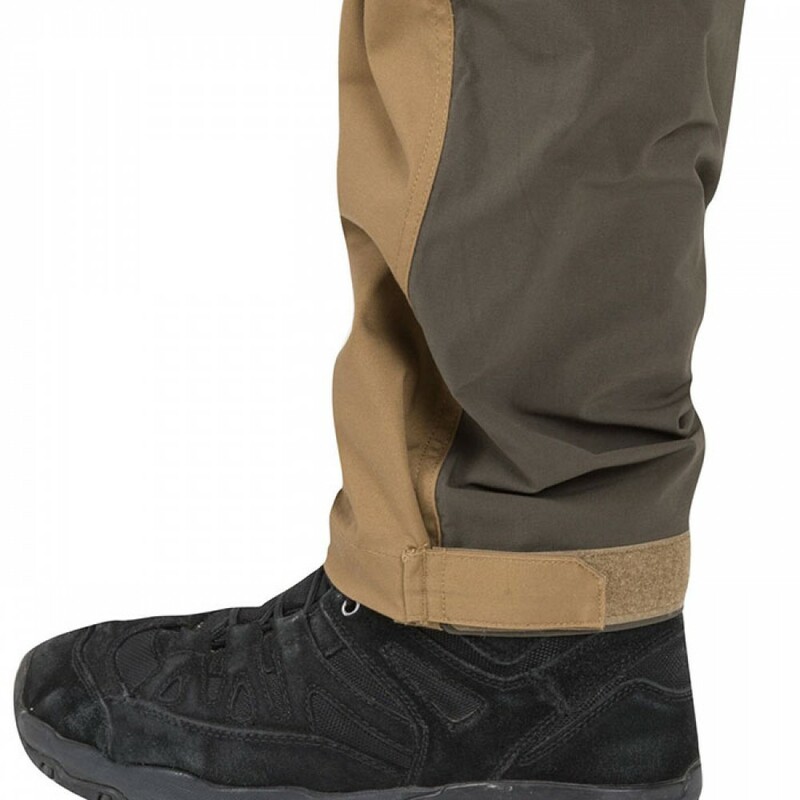 They can be partly waterproofed with wax. 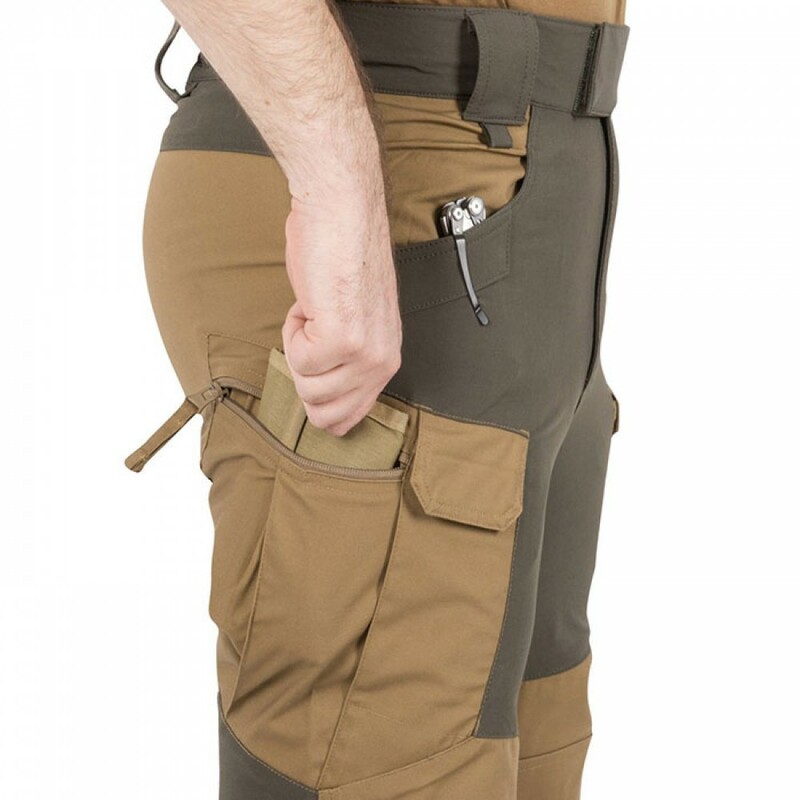 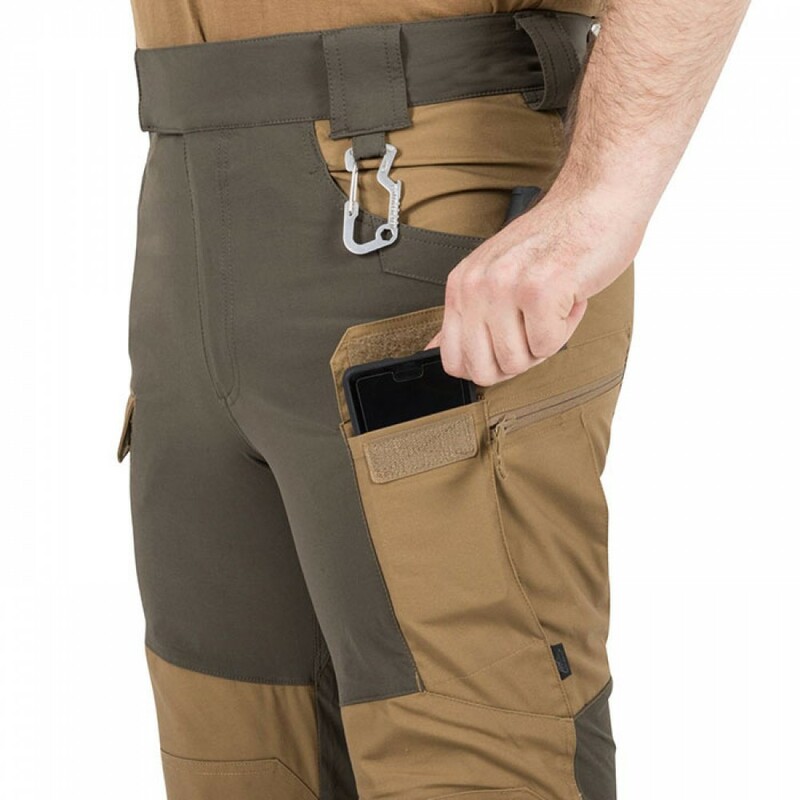 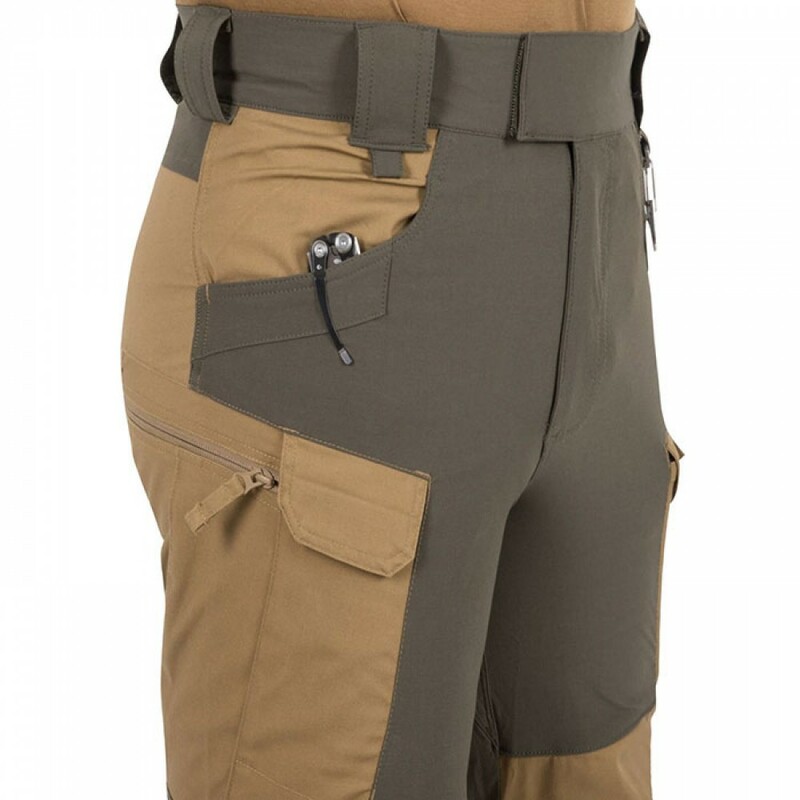 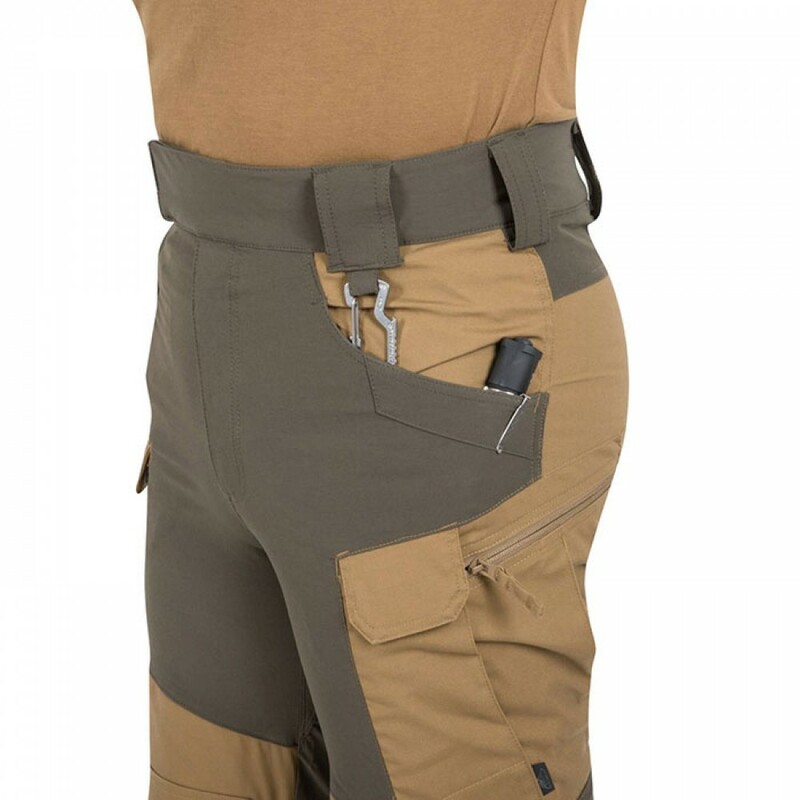 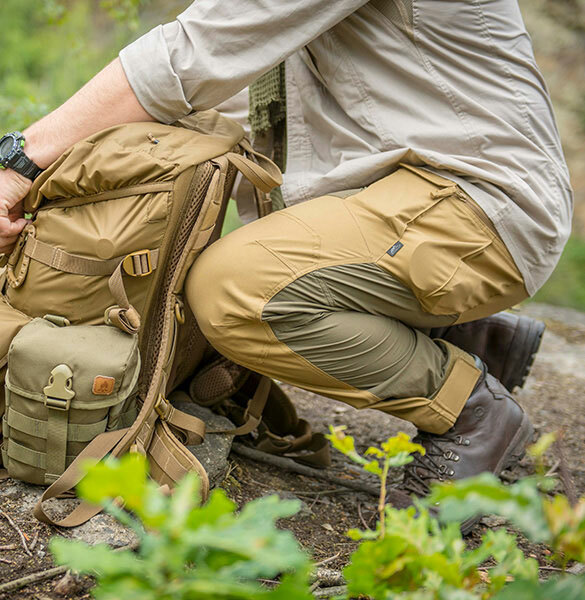 There are two classic front pockets with edges reinforced for knife/light clips, two hook&loop-closed front thigh pockets and two zippered cargo pockets. 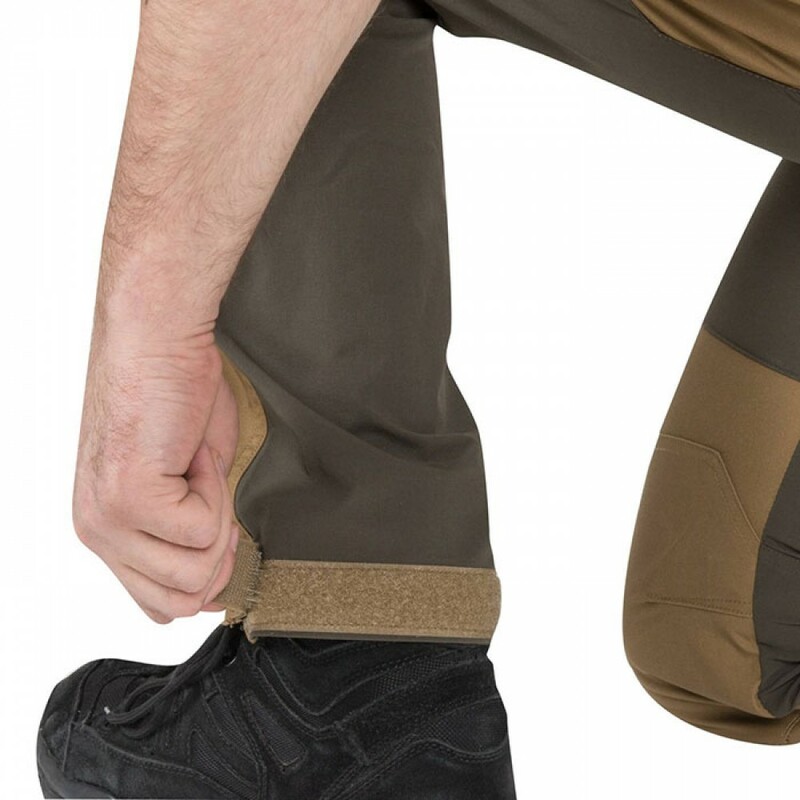 Knees reinforcements have inner pockets for our Neoprene Low Profile Protective Pads.